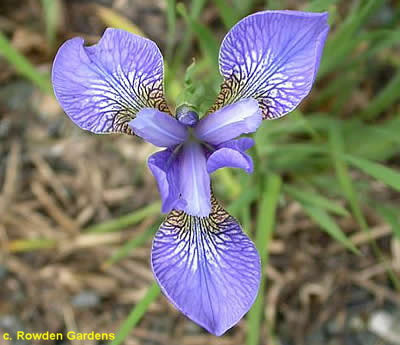 'Perry's Favourite' ( Amos Perry) Unregistered, name used also for bearded Iris related to pallida. See IB 'Perry's Favourite'. Description and photo from Rowden Gardens, UK: Sib Perry's Favourite: Mid blue Falls; small white signal, Standards and styles slightly paler blue. 3 ft.